Sports Editor David Gorman chatted to UCD camogie captain Anne Eviston before the team heads into the prestigious Ashbourne Cup. 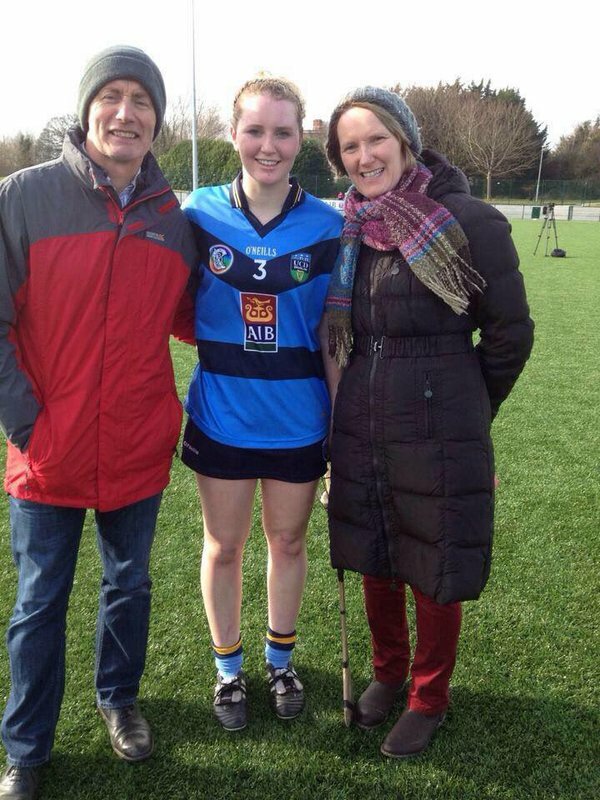 A farming girl from Drom-Inch in Tipperary, Anne Eviston is one of the best young camogie players in the country. The full-back represents UCD where she is captain of the college team as they head into the prestigious Ashbourne Cup. UCD will face UL, UUJ and Mary I in the group stages. Eviston says that UCD have quite a bit of work to do however in order to be adequately prepared for the competition. She knows that UCD have their work cut out this year, with UL in the group stages. She picks them out as the team to beat in the competition. “They are a very strong outfit with good players and they won it the year before last”. The 20 year old is well aware of what it is like to have responsibilities with many teams. She trains three to four times a week for club, college and county and she frequently travels home to Tipperary from Dublin for training. She does not, however, let her camogie get in the way of her studies in Dairy Business. Her formula has certainly worked so far. Eviston has had a lot of underage success with Tipperary. The high point was the 2011 Minor Camogie Championship, where her performance against Kilkenny in the final won the cup for Tipp as she earned the Player of the Match award. Her promise at underage level has translated well to senior. She was nominated for a Camogie All-Star after a fine season last year for Tipperary. Indeed, she is confident about Tipperary’s chances in the future. She feels that the Premier County are closing the gap between them and Cork, who have been champions for the past two seasons. “It is my long-term ambition to win the O’Duffy Cup,” she added. More immediately, she hopes to draw on her experience of playing in an All-Ireland Minor Final when the going gets tough in the Ashbourne Cup. This entry was posted in News and tagged Anne Eviston, Tipperary Camogie, UCD by CCAO PRO. Bookmark the permalink.